Located on the banks of the tumbling waters of the scenic Methow River, the Blues Ranch has plenty of camp sites available. Here you can be near all the festival activities and amenities of the Methow Valley. 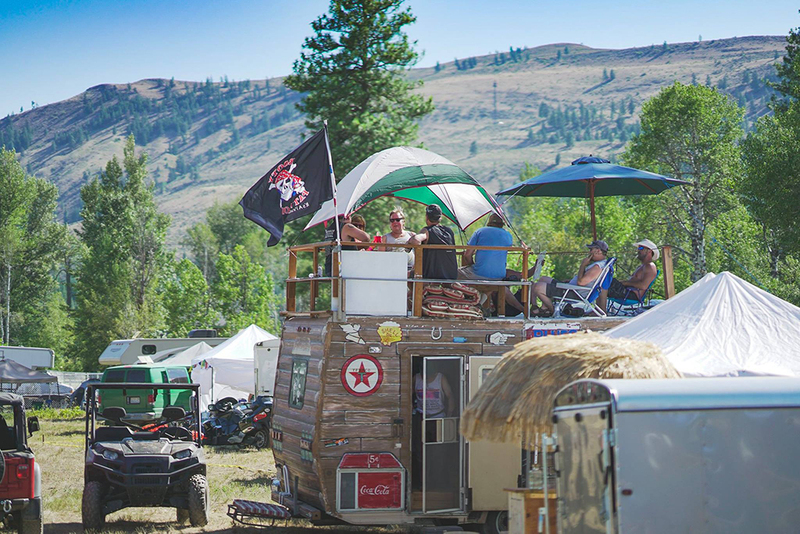 The camping is located right on the festival grounds and is only a 1-mile walk to the town of Winthrop (or take the shuttle provided by Classic Mountain Cabby). All sites are on a first come first served basis. River campsites are for staff only. 4 people and 1 vehicle per campsite (motorcycle exceptions). Additional cars will need to purchase a parking pass. Dry camping only. Portable toilets and showers are provided. No power or hookups are available! Propane BBQs and camp-stoves are allowed. NO CHARCOAL! NO PROPANE FIRE PITS! Includes camping for Friday, Saturday and Sunday Nights. 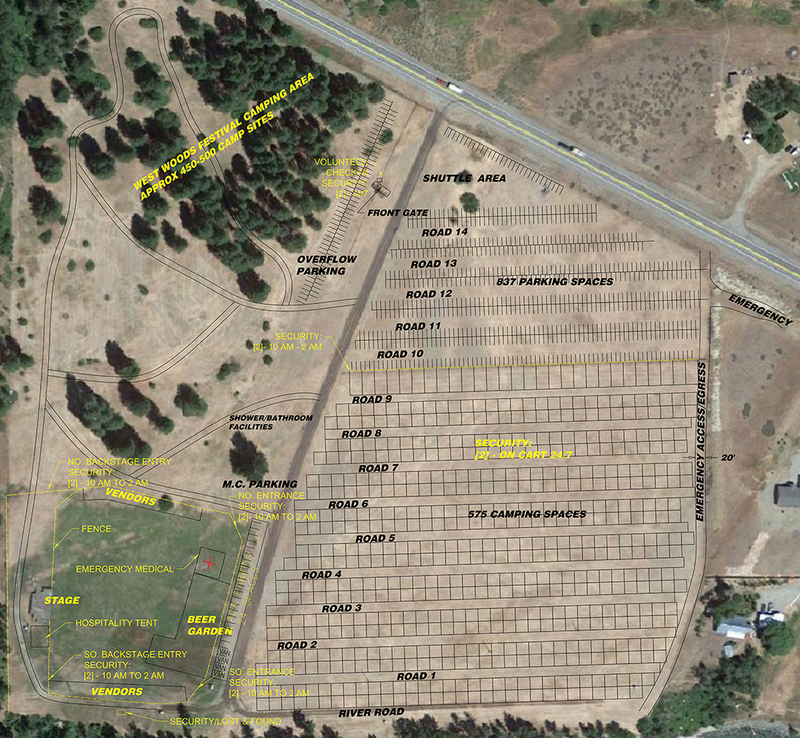 Unmarked sites in semi-treed area – these are cozier camping sites for tents and small RV’s only. Not suitable for rigs over 20 ft. NOTE: We request RVs 25′ and above utilize field sites. An RV or vehicle towing an RV must be able to fit in the 25′ x 25′ campsite. $25 Thursday night camping available as an-add on to your already purchased camping pass. NOTE: If you are purchasing two or more weekend camp sites you will need to purchase the same amount of Thursday Add-On passes. Gates open up at noon. NOTE: The festival officially starts Friday. Thursday camping is available to accommodate those who wish to arrive early to have a better selection of campsites. NO DRIVING IN CAMPING AREAS AFTER DARK. QUIET HOURS ARE 2 AM – 8 AM. PLEASE NO GENERATORS OR LOUD MUSIC DURING THESE TIMES.